Each episode is based on a true crime case with the names changed. 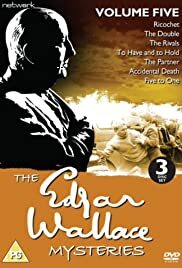 Q: Were Edgar Wallace Stories Used On the Series? Q: Was Edgar Wallace popular in Germany? I remember my dad watching The Edgar Wallace Mystery Theatre on Australian TV in the 1960s along with the Perry Mason series. I also saw some installments on the big screen at the cinema as a second feature during the 1960s. Excellent production values, sets, top actors and sharp cinema quality black and white photography. Very good scripts with each episode having a good twist in the tail. The series is currently being repeated on early morning free to air TV in Australia. Still stands up as a good mystery anthology series and well worth a view.